DS Rom backup cards that have "i" at the end of the name will work on both DS Lite and the new DSi. Welcome to my first official Datel review. Yeah, that's right I'm bragging about the fact I'm doing official reviews for them, but heck I'm proud of myself. I started off with a simple review of an application and now am getting bigger and better things. I guess all of those writing books I've purchased have paid off. Okay, now that I'm done with the self glorification lets get started with the review. Datel has sent me their Max Media Launcher' for the Nintendo DS' which is the next generation of 'PassMe' type devices. These devices are used to 'pass' code (hence their name) from the Game Boy Advanced' cartridge slot to the NDS slot allowing you to boot homebrew and backups. The first PassMe units were produced by Natrium42 and were large, bulky and came without any type of encasement so you were left with a bare PCB that you plugged an original game into. Throughout the last year other companies have released alternatives such as the PassCard and PassKey which were more professionally made, but were still pretty bulky and required you to insert and original NDS game into it to correctly function. Datel's device is the second to hit the market that allows you to pass the NDS code without the need for a NDS cart plugged into it. There is another device out there that was released first. Not only is the other device based off a game, it's larger, only comes with 4k EEPROM, a lot more expensive and doesn't work on the newer Nintendo DS consoles. The Max Media Launcher is by far the best 'PassMe' solution I've used to date as it's the same physical size as an original NDS game. The Max Media Launcher boots code flawlessly on both the older and new versions of the Nintendo DS. The device comes packaged in a small box along with an instruction booklet that clearly explains the device is only used to boot code and doesn't have any internal features other then that. Its instructions recommend using the device with the M3 and/or SuperCard Nintendo DS development units. 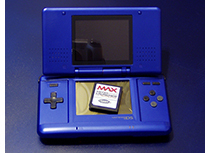 Comparing the quality of the Max Media Launcher to an original NDS cart wasn't hard to do. The device's casing it made from the same durable plastic that the original carts are made with and of course comes with its own logo. I tried bending both cartridges and they exactly matched when it came to its bending point. So you won't have to worry about breaking the Max Media Launcher if you accidentally step on it or anything. 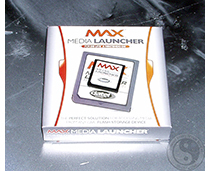 All you need to do to install and operate the Max Media Launcher is to insert it into your Nintendo DS and power it on. Depending on which type of FlashCart you're using you may or may not see the devices onscreen logo. If you simply boot the device without any type of flashcart in the Nintendo DS you will see the logo and then get a white screen. I tested the device with the M3 SD, M3 CF, SuperCard and Flash2Advance Ultra flashcarts and they all worked out just fine. Each device would boot up correctly and there were no errors when testing homebrew applications and legitimate backups. Each device successfully booted. Next I wanted to test its EEPROM capabilities so I put patched an image to save directly to the NDS cart, but sadly this did not work. Of course all of the newer Nintendo DS devices bypass saving directly to the NDS cart so this shouldn't be much of a problem. Even if you're using an older GBA cart you can still have the images save to it so there isn't much to worry about in regards to this issue. So everything worked fine and dandy up to this point so now comes the next test ' run the Max Media Launcher on a newer Nintendo DS system. Previously, all PassMe type devices required a data file to be loaded into them or placed on the removable media they use per each backup you wish to boot. This means each time you want to boot another backup you have to either reprogram the device or copy a new file onto your card. These methods are really annoying and drastically increase the time it takes to get your image up and running. Datel's device totally wipes the competition on the floor and doesn't need to mop up the mess. All you need to do to boot your backups on the newer Nintendo DS systems is to insert the cart and go. There is zero need for any type of programming. So it works just like the original Nintendo DS consoles! The days of turning your console off, turning it back on, programming the device, turning it off again and loading your images are over. Based on Datel's Max Media Launcher's low price, compatibility and flawless operation I wouldn't let this pass you by. If you're looking for a PassMe alternative that doesn't hang out of your console or you're an unlucky fellow who owns a newer Nintendo DS what are you waiting for? Go get one! 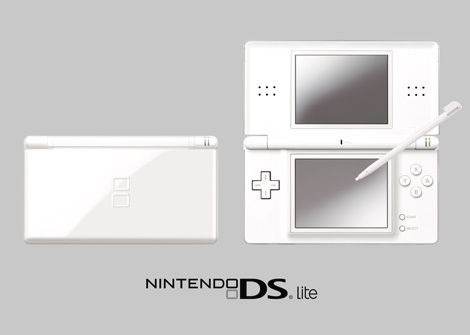 All rights reserved Nintendo DS Lite.com and www.DSlite.com . Import Buy Nintendo DSi now. Download DSi rom emulator and play DSi ROMs .